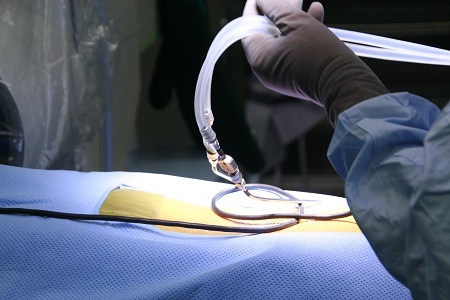 What is Elective Spine Surgery? People are often confused by the term Elective Spine Surgery. The most broad definition indicates a choice to pursue surgery. So let’s try to define it in a way that everyone can understand. Naturally, there may be some nuanced differences among some stakeholders of the definition. We will try to stay within the mainstream of opinions. Emergency Spine Surgery: There are certain situations where Spine Surgery is an emergency. Thankfully, those situations are rare. In general, Emergency situations are those instances where delay may cause irreversible harm to your body. Usually, that situation means more than just pain. Emergency Spine Surgery situations are associated with nerve or spinal cord compression that needs relief to give the chance of restoration to normal function. These situations usually involve trauma, infection, or cancer. In terms of Trauma, it is usually secondary to a broken spine bone, or a large herniated disk, or a pre-existing narrowing of the spine (spinal stenosis) with a resulting significant compression of the individual spine nerve, or the spinal cord. The emergency is secondary to loss of the function of the nerve, and specifically, the ability to control the muscles associated with those nerves, or the spinal cord itself. Depending on how rapid the muscle weakness presents, surgery may be indicated on an emergent basis. For the arms, and legs, weakness secondary to disk herniations, without evidence of abnormal spine movement (spinal instability), has an option of waiting to see how the nerve responses to the body’s ability to resorb some of the disk herniation. To Surgeons, muscle weakness means the inability to control the muscles secondary to nerve impairment, not weakness secondary to the pain associated with the nerve irritation. To patients, there may not be a difference, but to Surgeons, there is a very large difference. That is why you need a good neurologic exam to determine if Surgery needs to be performed. On the other hand, muscle weakness associated with a disk herniation and instability, with present with a constant irritation of the nerve. Usually decompression and stabilization is the recommendation. If there is a broken spine bone (vertebral fracture) with associated instability pattern, and muscle weakness, Emergent Spine Surgery is the usual recommendation. Pain associated with spine infections, with progression of weakness is also an indication for Emergent Spine Surgery. It is important to know that some spine infections can be treated without surgery, as long as there is no evidence of progressive weakness. Likewise, cancer causing nerve encroachment can be observed, and treated with non-surgical means as long as there is no evidence of muscle weakness or loss. The nerves to the bladder and bowels are very sensitive. If there is irritation to these nerves, it can cause inability to control those functions. Spine Surgeons call this condition Cauda Equina Syndrome. While the science is still not completely understood, there is a general consensus that this situation is considered an Emergency Spine Surgery condition. Please note that PAIN by itself, is not considered an Emergency Spine Surgery Condition. I know that is a source of frustration for many patients, but we do know that Pain can and usually does improve for many patients. If there is no evidence of any associated weakness, and no evidence of a cancer or infection that is worsening, Pain by itself cannot be the only criterion for Emergency Surgery. So now that we defined the needs for Emergency Spine Surgery, What is ELECTIVE SPINE SURGERY? Elective Spine Surgery is usually a choice made by a patient after trying to deal with the situation for some time. Usually, there was come and go period of pain, discomfort, tingling, numbness, without severe muscle loss. For scoliosis patients, there has been an observation period with evidence of progression of the curvature. For patients with an instability pattern, there has been a steady increasing nature of the pain. Despite treatments such as medications, injections, and therapy the symptoms have worsened. For disk herniation patients, there has been recurrent episodes of severe pain, with associated dermatomal neurologic findings. The decision for surgery is not a limb or life threatening one (that is more of the Emergency Spine Surgery criteria), but is secondary to a progression of symptoms. For some, the progression is manageable. For some, secondary to the natural aging process, the activities restrictions that naturally result (we do slow down as we get older) are enough to accommodate the underlying spine condition. For others, the spinal condition is such that it is isolated to a specific area, and Elective Spine Surgery can have a significant positive effect on their daily life activities. The chances that Elective Spine Surgery can improve your life, with reasonable associated risks need to be explored by the Patient and the Surgeon. As of now, in the USA, if a Patient can demonstrate that they have tried non-surgical options for their spine problem without success, and the proposed surgery has a reasonable chance of success, most insurance entities will still consider the Spine Surgery medically necessary and cover the Surgery. I have had many Patients assume Elective Spine Surgery means it will not be covered by insurance. That is not true as long as the prior factors have been met. 1. Failure of reasonable non-surgical options. 2. The Elective Spine Surgery has a predictable favorable chance of success. The problem, of course, is finding out how to meet the two factors, as each insurance entity continues to define, and refine each factor. To Summarize, Elective Spine Surgery is 1. not limb or life threatening 2. offered after failure of reasonable non-surgical treatment 3. has a predictable favorable chance of success. If you are considering Elective Spine Surgery, please consider several opinions. There are always different options for most surgical situations. I have personally seen recommendations for very large multiple level disk removals and fusions with cages, screws, and plates in situations that I have only recommended a simple removal of a small piece of bone or disk on an outpatient basis. Remember that Elective Spine Surgery is not Emergent. I know you are in pain, but take the time to get to know all your options. Ask the Surgeon what they would do for themselves, or for their own family in a similar situation. I would also avoid any Surgeon that guarantees a specific outcome. Blog bases on personal opinion of Dr. John Shim with greater than 20 years experience as a spine surgeon.